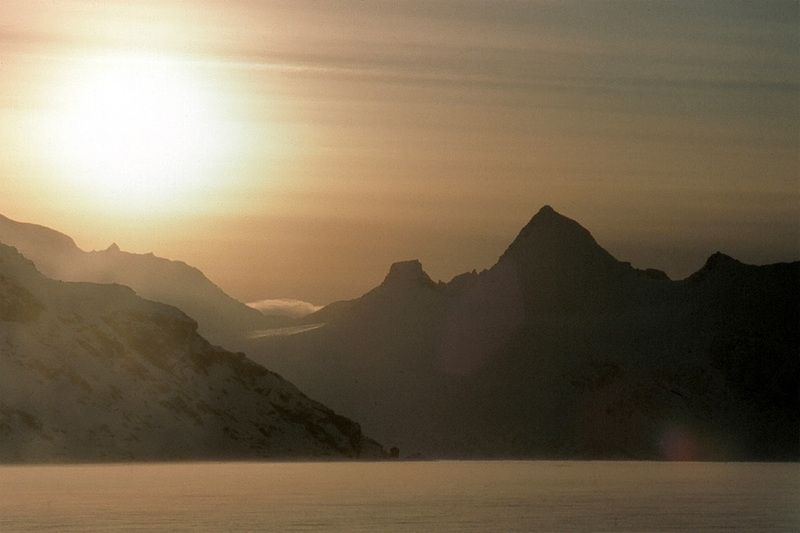 Mountains in the Antarctic interior are few and far between. Many are a special kind of mountain called a "nunatak". The Trans Antarctic Mountains that stretch from one side of the continent to the other break through the ice cap in places to form such nunataks - they are mountains that are surrounded completely by an ice field. A sort of cold version of the ocean and islands except that these are on land and raised high above sea level. Due to their isolation and sterile surroundings, many nunataks are little or never visited, though there are records of some Antarctic birds such as snow petrels nesting on nunataks over a hundred kilometres from the coast where they feed. Why they do so is unknown, maybe they just like the scenery.